Please join us from 10:00 AM to 2:00 PM today for Open Gym Saturday. There will be TWO formal group workouts today. The first workout will start at 10:00 AM and will be open to all skill levels and is FREE to our community. The second session be the Hotshots 19 Memorial Workout. This workout will begin at 1:00 PM at HQ. All levels are welcome to participate. This session will be from 11:30 PM to 12:30PM. 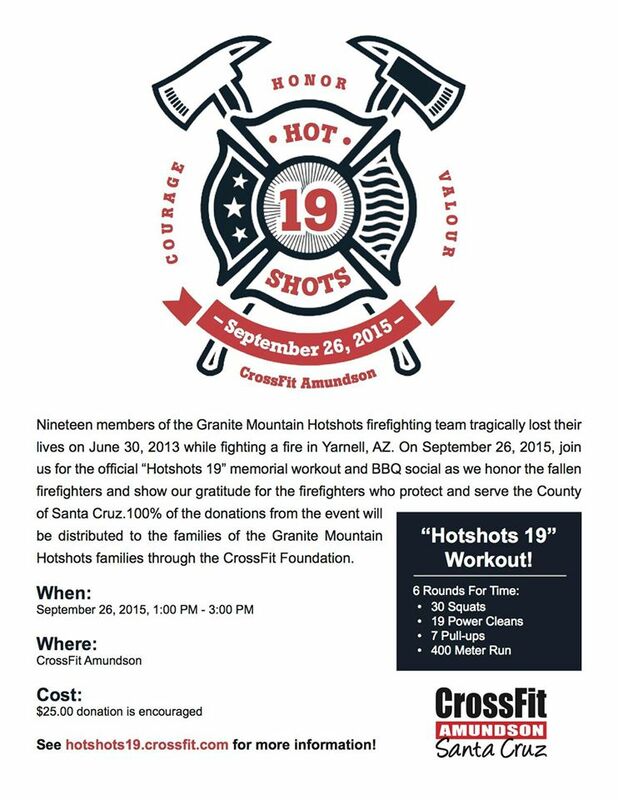 The “Hotshots 19″ workout is today! This workout will be scaled and modified as needed to ensure maximum participation. All levels are welcome, and the event is open to members of the community. This workout is a great way to honor the brave Firefighters who serve and protect us on a daily basis.